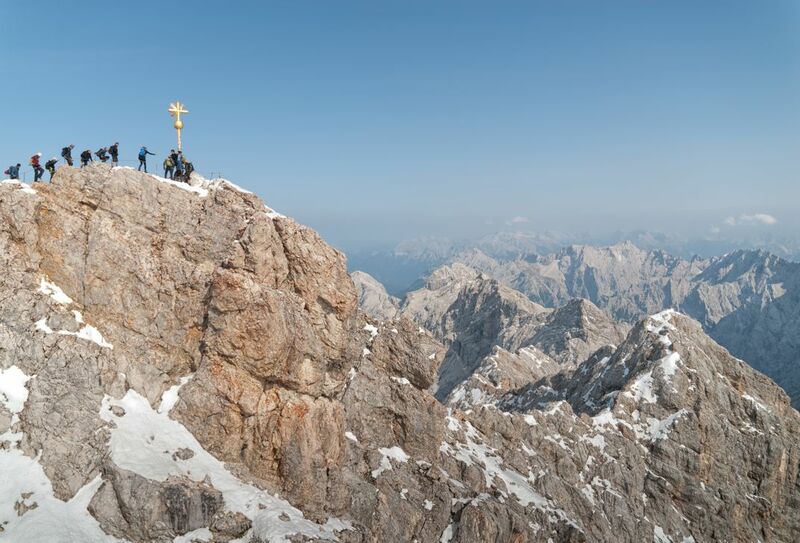 The image shows the summit of Germany’s tallest mountain “Zugspitze”. This mountain is on the bucket list of many European mountaineers. On a sunny day hundreds of mountaineers try to attack the summit. Therefore, there is lots of traffic on the small crest just before the summit cross. Some people want to take a picture of their success in front of the cross whereas others are just approaching and want to get through. Date Uploaded: Oct. 29, 2018, 11:17 a.m.